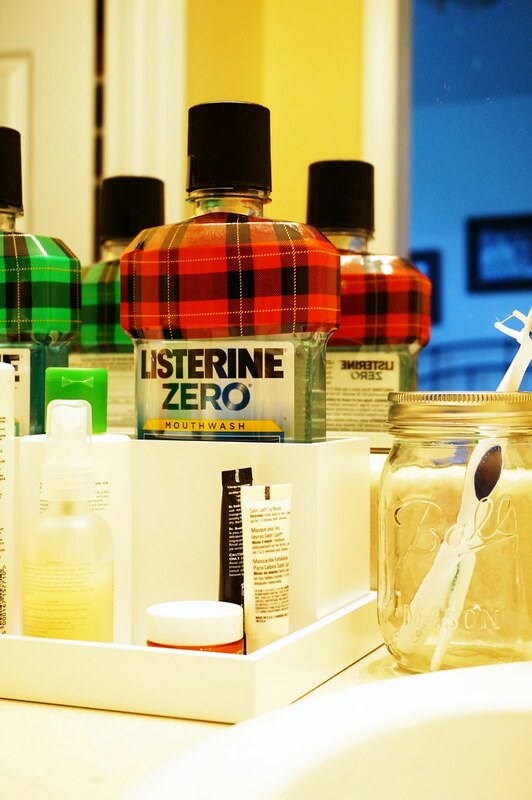 Last week, I shared how we organize our children’s bathroom. This week, I’m sharing a super stylish decoration theme in my husband’s and my bathroom. I recently purchased some new bathroom organizational pieces for our bathroom, and I am so happy with them. 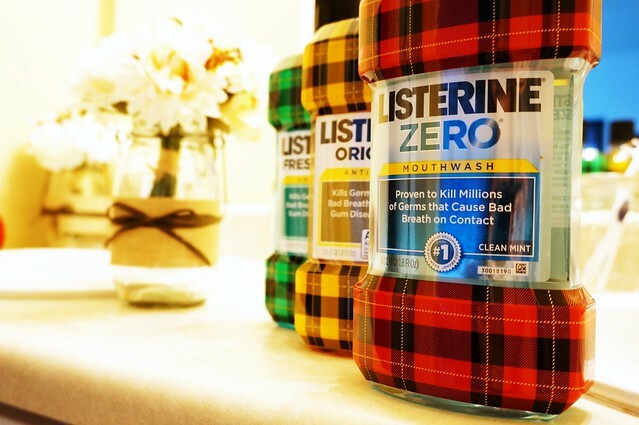 I also purchased some new, super plaid, super cool LISTERINE® bottles that have added a fun autumnal theme to our sink area. If you’ve noticed at Target recently, they have a huge plaid theme throughout the store. It makes my 90’s-loving-heart happy. 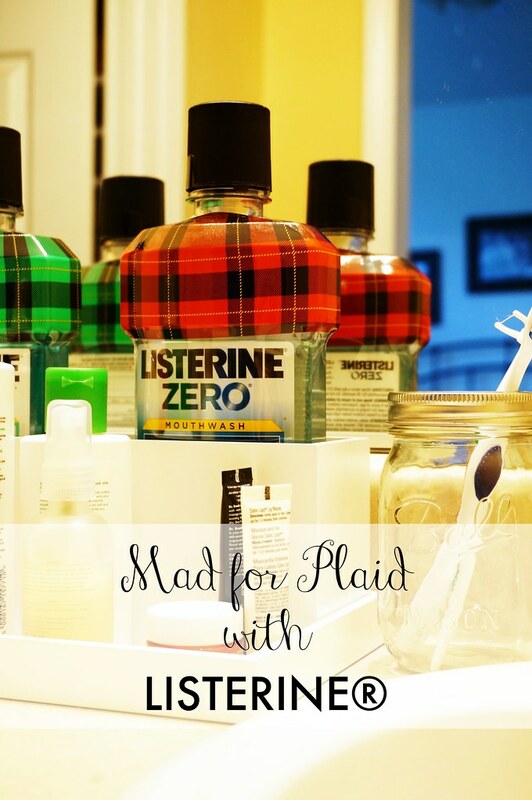 First, I love plaid. Two, this plaid is modern and fun. 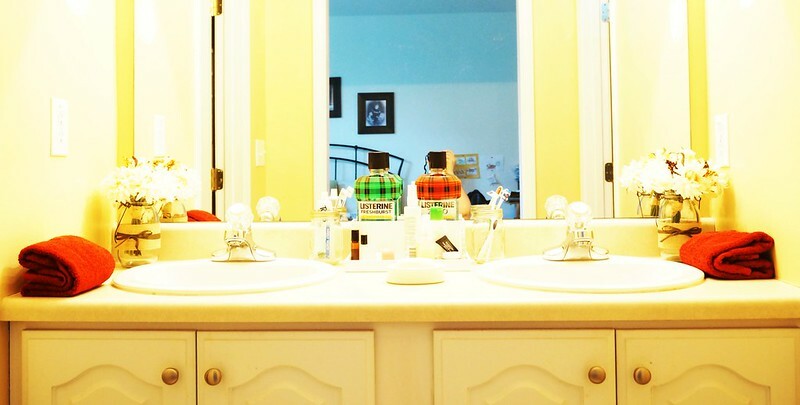 I love the splash of color it gives our bathroom counter. I’ve kept the decor simple. I picked up this white organizational tray. It came with a long container that I’ve put our LISTERINE® in. The front part of the tray has my skin care essentials. On the sides of the counter, I’ve put our fall towels that I also purchased at Target. Decor isn’t complete without flowers, so I purchased some white flowers and scented pine cones. 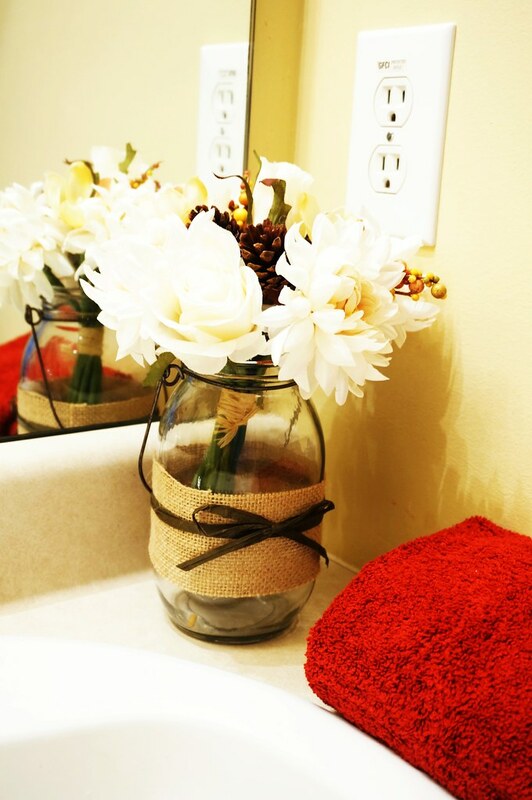 I put the flowers in these mason jars and tucked the pine cones in between the flowers. I love that the area looks and smells so autumnal now! 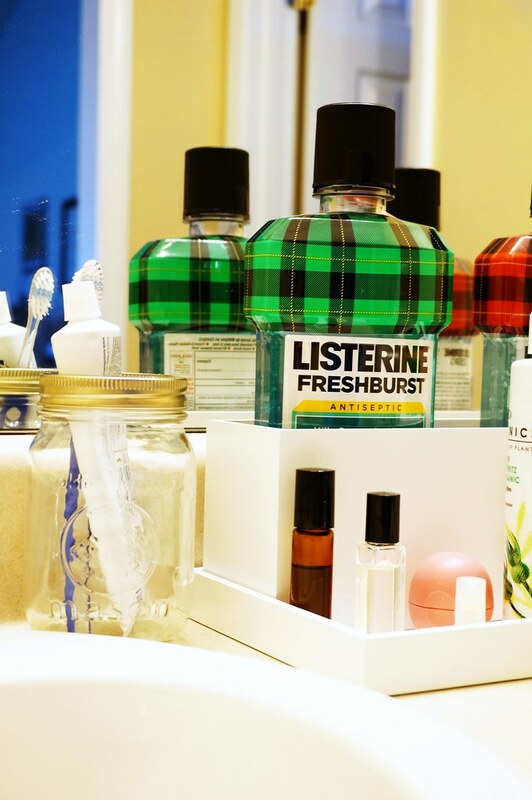 Our LISTERINE® bottles are quite “his” and “hers.” My husband likes the Freshburst and I like the Zero. We both love the feeling of the bacteria-killing power of LISTERINE®. Brushing alone misses 75% of your mouth, so we use a therapeutic mouthwash like LISTERINE® twice a day to achieve superior oral health. But, how cool is that we can purchase our favorite mouth wash and decorate for fall at the same time?! 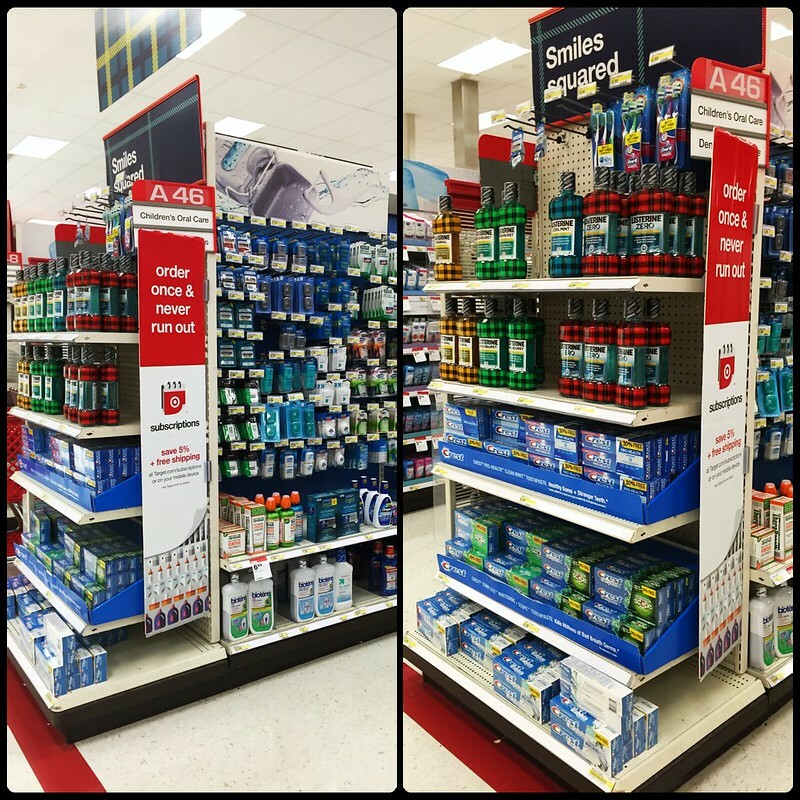 These limited-edition bottles of LISTERINE® are available in the Target oral care section until October 31. You can also use a Target Cartwheel coupon offer, which is 10% off each bottle! The coupon is live September 13 – October 31. To find out about more about LISTERINE® products, visit www.listerine.com.